This book presents the first full-length study of a vast and complex visual tradition produced, revered, preserved, banned and destroyed by the Hasidic movement of Chabad. This rich repository of visual artifacts provides the archaeological data for an analysis of how the movement consolidated its influence during a period of political and economic transformation and survived its immigration to America in the wake of the Holocaust. 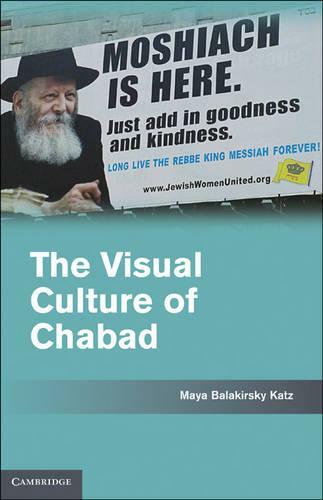 As one of the most self-documented and media-preserved modern Jewish movements, Chabad's rich material culture, including the hand-held portrait, the 'rebbishe' space, the printer's mark and the public menorah, afford scholars a wider range of interpretive strategies for understanding the movement and the role of the visual experience in religion.